If you are looking for a sport that will improve your overall fitness, tennis is a fantastic choice. Tennis requires constant movement and physical action, so it is a great cardio-vascular workout as well as working a huge range of muscle groups. This is a sport that can help you build muscle, lose weight, increase flexibility and even enhance bone strength. 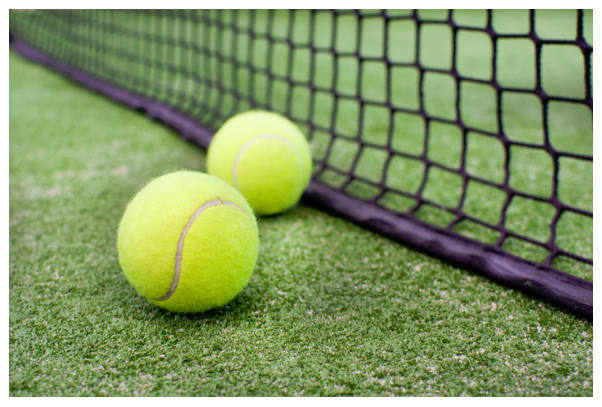 One of the reasons that so many homeowners are choosing to have a tennis court installed in their garden is that tennis can be enjoyed by the whole family. This is a sport that can be played for life but it is also something that families can share. Grandparents can play tennis with their grandchildren, and all generations can find their level. Tennis is a naturally social sport – whether you are playing singles or doubles it’s easy to chat and have fun together on the court. Aside from being a physical game, tennis is a sport that requires mind power. It involves tactical thinking, problem solving and mental alertness if you want to win your match. More interesting still, every opponent brings a different challenge. Of course don’t forget that tennis is a great way to get outside and enjoy the good weather. If you aren’t lucky enough to have your own court, remember that the sport reaches its peak popularity just after Wimbledon finishes so if you struggle to book a court at your local club, don’t despair, wait a couple of weeks and there will be some availability. Want some tips before you take to the court? Read how to improve your forehand.